Our firm is recognized consistently for providing clients with the most sophisticated solutions to legal challenges around the world. Below is a selection of our awards and recognitions. Recognized by general counsel as one of the top law firms for superior client service for a fifth consecutive year in the “2017 BTI Client Service 30.” K&L Gates has made 17 straight appearances on the BTI Client Service A-Team, an annual report based on in-depth interviews with legal decision makers at the world’s leading organizations. Frequently noted as a leading “Client Service Strategist” in BTI’s annual Brand Elite report, recognizing the law firms corporate counsel rank above others for making changes to improve the client experience. Named among the top 24 law firms with the strongest client relationships in BTI's Power Rankings 2016 based on the idea of “Clientopia,” where clients consider a firm both their leading primary provider and is the first firm they recommend to others. For a seventh consecutive year, K&L Gates was recognized among the top 20 strongest U.S. law firm brands in legal market research company Acritas’ U.S. Law Firm Brand Index 2018. Globally, K&L Gates was again recognized among the world’s 20 leading global law firm brands in Acritas’ 2018 Global Elite Law Firm Brand Index. The ranking is determined by unprompted interviews with more than 1,000 in-house general counsel around the world. K&L Gates was recognized by corporate counsel as one of the few law firms strongest in each of the elements clients see as driving legal innovation—including strategy, client service, and new technology—in the BTI Legal Innovation and Technology Outlook 2019 report. The firm was named in 2016 as one of the top 25 corporate law firms in the United States, according to a survey of U.S. general counsel by Corporate Board Member magazine and FTI Consulting. The ranking recognizes national law firms general counsel would retain for a variety of corporate governance and legal matters. The Financial Times noted K&L Gates as a Highly Commended firm in the Compliance & Technology category of its North America Innovative Lawyers report, specifically recognizing the groundbreaking client-focused digital content site K&L Gates HUB. The firm was also commended for its Cyber Civil Rights Legal Project. Legal directories such as Legal 500 and Chambers consistently recognize K&L Gates and its lawyers among the world's leading practitioners, nationally and regionally, in the U.S., Europe, Asia, Australia, and the Middle East. Our ranked practices include Corporate/M&A, Government Relations, Litigation, FinTech, International Arbitration, Finance, Restructuring/Insolvency, Investment Funds, Employment, Environment, Capital Markets, Real Estate, Energy, Intellectual Property, Tax, and many other distinct categories. To view the full Chambers rankings for the firm and its lawyers, click here. K&L Gates was again among the top three firms — out of more than 14,000 ranked — for most national first-tier rankings in the 2019 U.S. News-Best Lawyers “Best Law Firms” survey. For a ninth consecutive year, the firm was also among the top 10 for most regional first-tier rankings and combined regional and national first-tier rankings, with K&L Gates’ full rankings including 42 national first-tier rankings and 129 first-tier marks across 16 state and metropolitan areas in 59 different practice groups. To read our full list of 2019 rankings, click here. K&L Gates won The American Lawyer’s 2014 Global Legal Awards "Global Corporate Social Responsibility Initiative of the Year" recognition in honor of the firm's inaugural Global Day of Service, an initiative that in 2013 brought more than 1,500 firm personnel from across the world to volunteer in their local communities. For the seventh year in a row, K&L Gates was ranked by Law360 in the publication's 2017 Global 20 survey as one of the 20 leading global law firms based on international presence and the capabilities to handle complex cross-border matters. The firm was again recognized as one of the leading firms across the area of litigation in the BTI Litigation Outlook 2018. In addition to being named among BTI’s “Awesome Opponents” in litigation for a second consecutive year, K&L Gates also earned rankings as a “Standout” firm in all eight areas of litigation in which BTI annually rates firms, including Class Actions and Torts, IP Litigation, Securities and Finance Litigation, Complex Commercial Litigation, Everyday Commercial Litigation, Complex Employment Litigation, Everyday Employment Litigation, and Product Liability Litigation. In 2017, K&L Gates was ranked among the top 100 UK LGBT-friendly employers in the Stonewall Workplace Equality Index. K&L Gates was named among Yale Law Women (YLW)’s top 10 Family Friendly Firms of 2016. YLW evaluated important family friendliness indicators by collecting data on each firm’s policies relating to part-time, parental leave, gender equity, billing requirements, professional development, and pro bono policies. 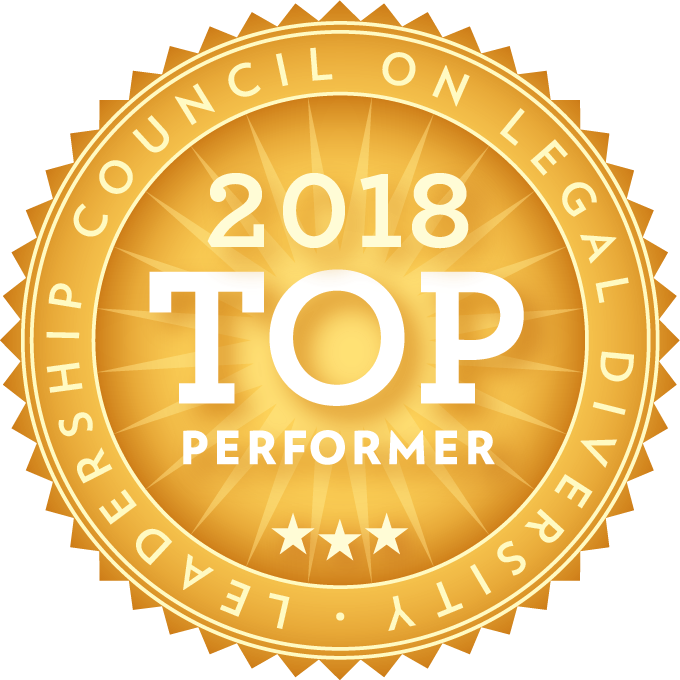 For the fourth consecutive year, K&L Gates was named a “Top Performer” by the Leadership Council on Legal Diversity (LCLD) in 2018. 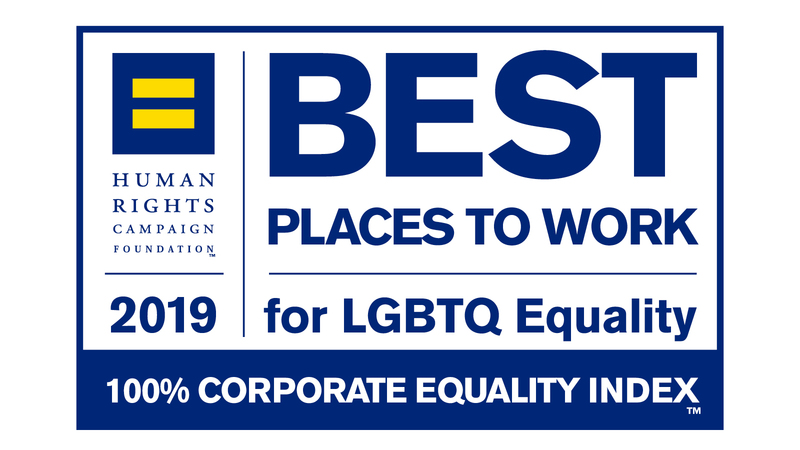 The designation recognizes active LCLD member corporations and law firms who have dedicated the most time and energy to participating in LCLD programs and supported its mission of creating a more inclusive legal profession. K&L Gates is one of only seven law firms to be recognized as a “Top Performer” for the past four or more consecutive years, with the firm also being recognized as a 2018 Compass Award winner from LCLD for participation in a variety of the organization’s programs. In 2015, K&L Gates was named the Outstanding Firm for Furthering Women’s Advancement by Chambers. The award reflects the achievements and advancements of women in the legal profession and recognizes firms and corporations that provide a work environment in which female lawyers can thrive. In 2018, K&L Gates was awarded the WILEF Gold Standard Certification for a seventh year.